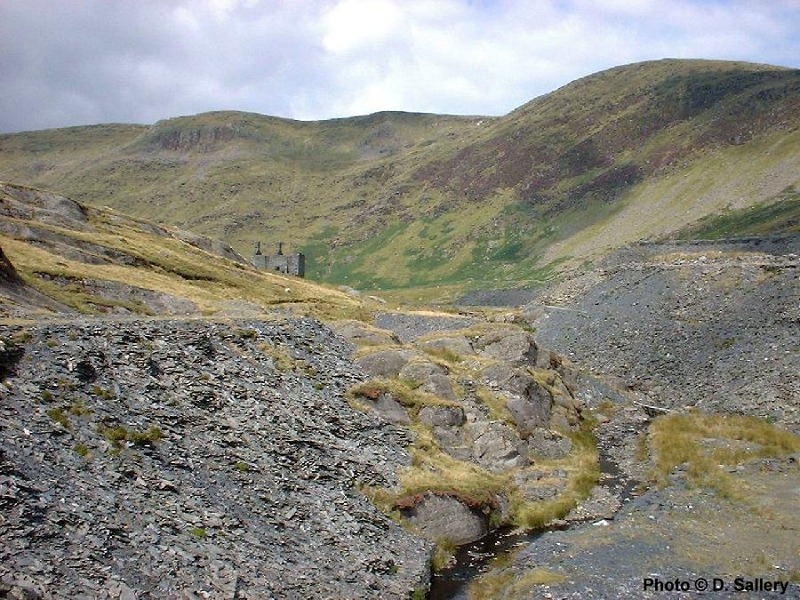 The route from Tan y Grisiau along Cwmorthin to Rhosydd. 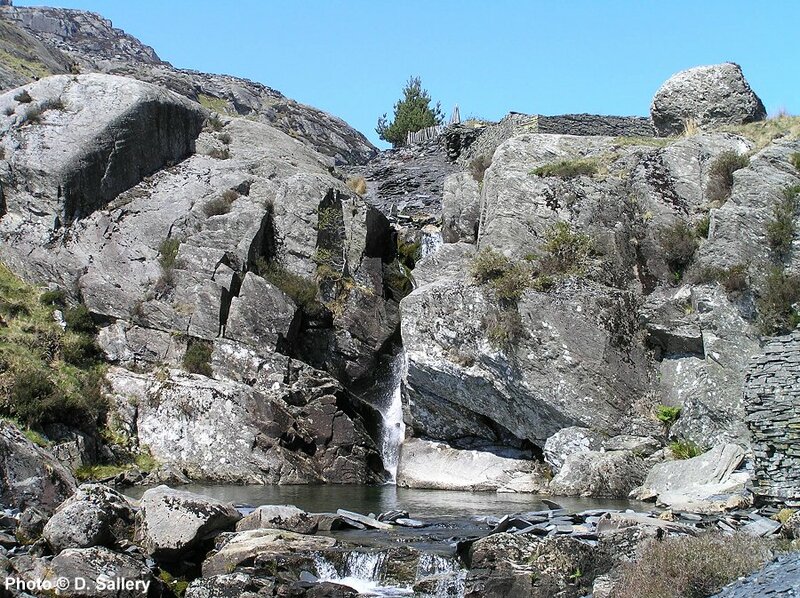 This waterfall is passed on the way up to Cwmorthin quarry, the stream flows out of Llyn Cwmorthin. 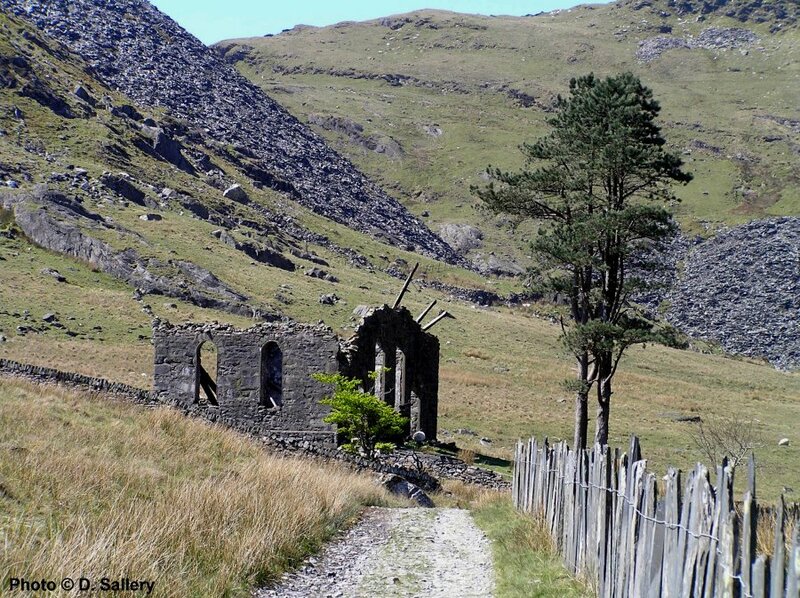 The path leads through the lower part of the derelict Cwmorthin Quarry. 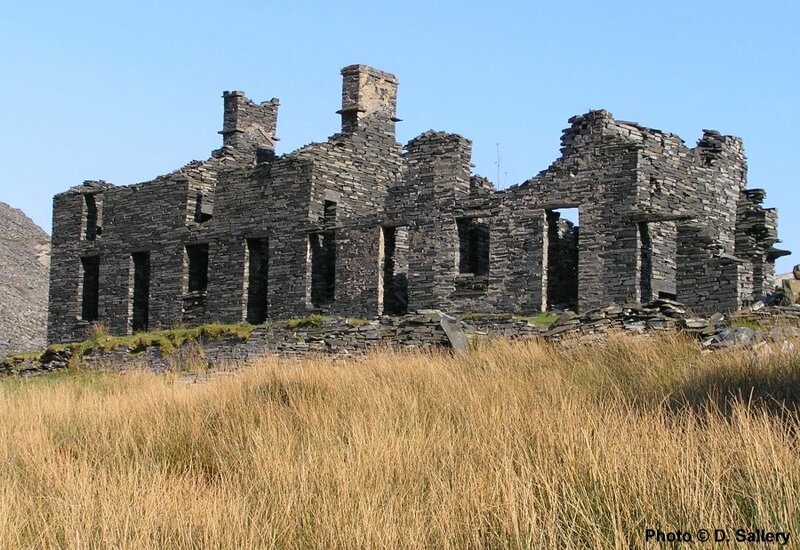 "Cwmorthin Cottages" which was built as the barracks for Cwmorthin Quarry. 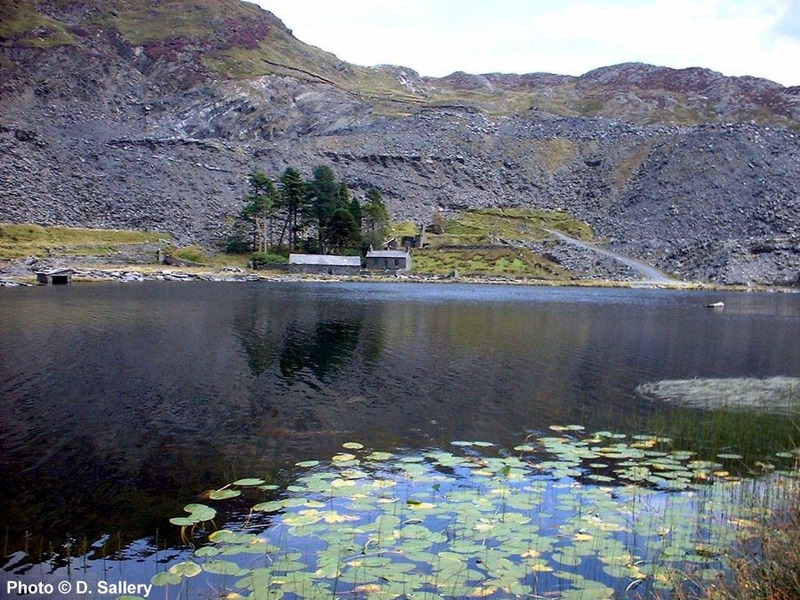 The cottages are dwarfed by slate waste tips. 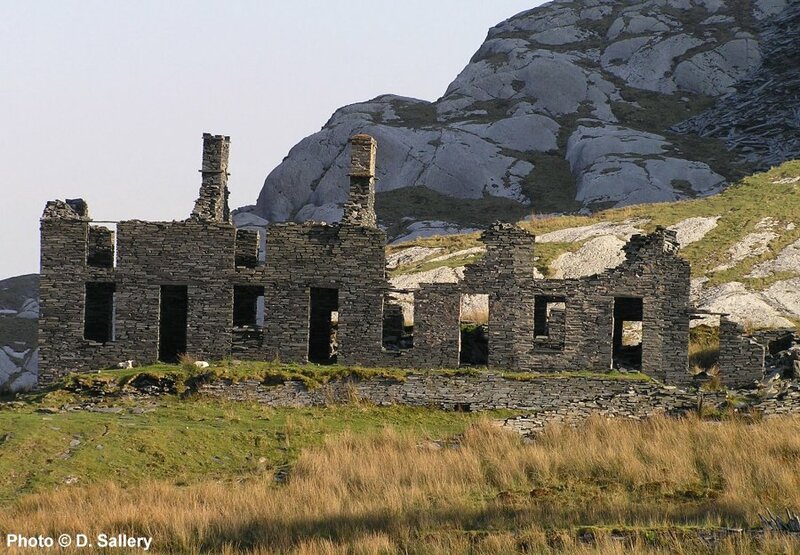 Those behind the cottages are from Wrysgan quarry. 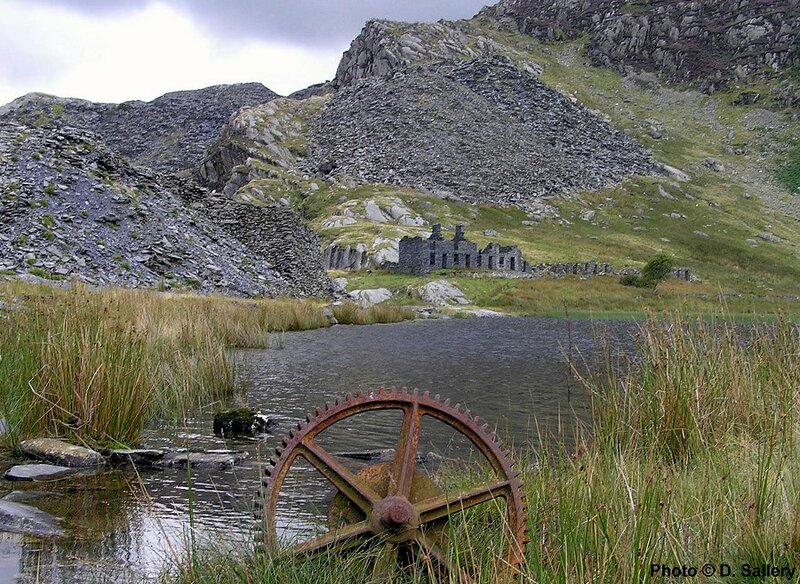 Looking across Llyn Cwmorthin at the ruins of Cwmorthin Quarry. The trees surround the site of the Cwmorthin managers house. 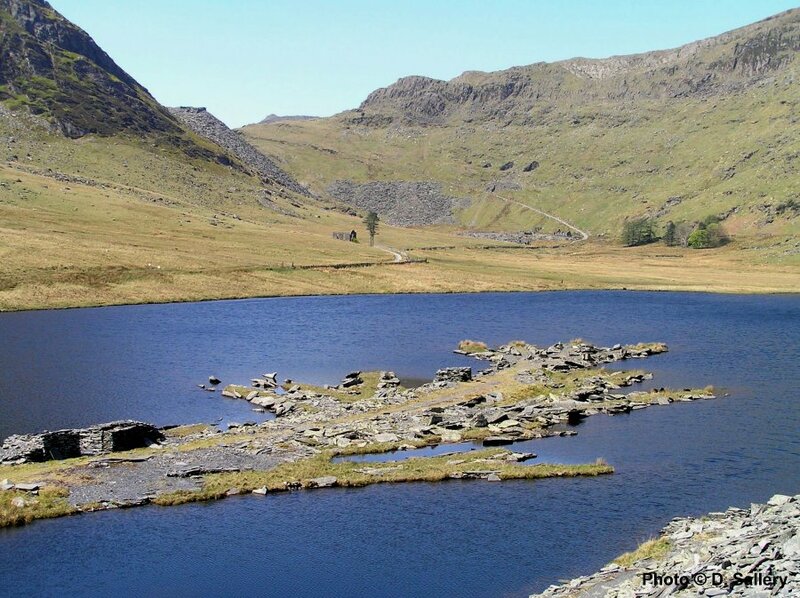 The Cwmorthin tips extend fan like out into the lake. The Rhosydd tips are visible in the left background. 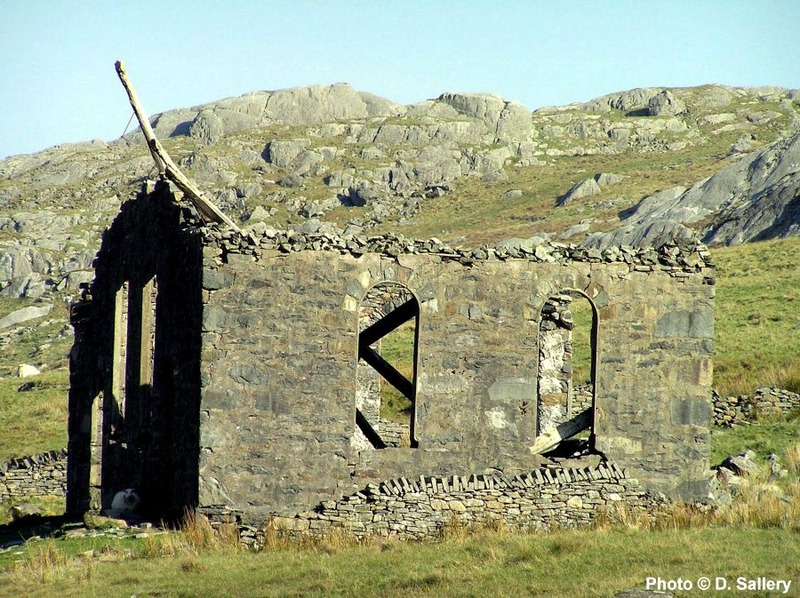 In the centre of the photo, the large tree marks the ruin of Rhosydd Chapel. 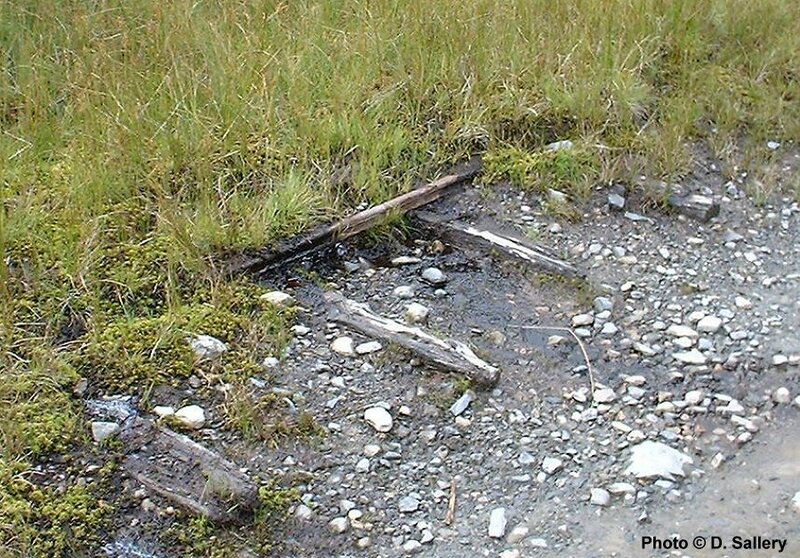 A relic of the Conglog Quarry tramway alongside the path are these old sleepers and a section of rail. 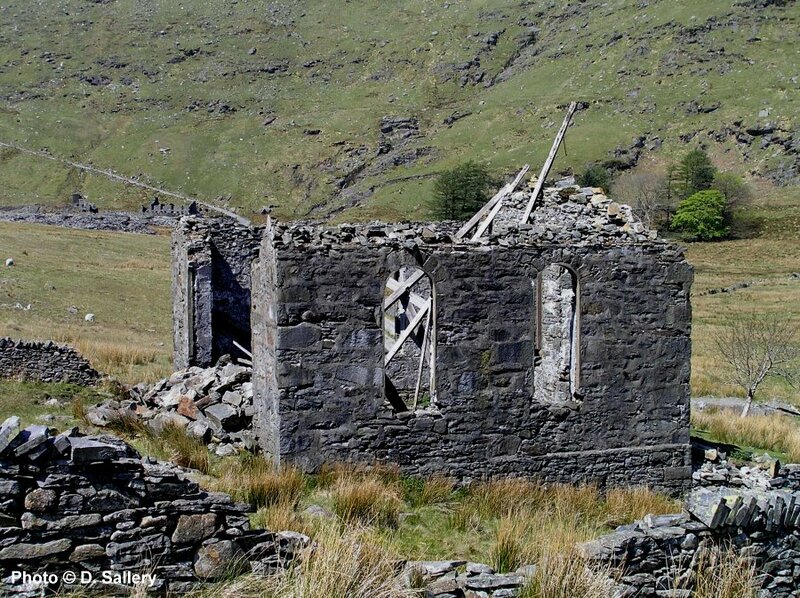 The now ruinous state of Rhosydd Chapel.